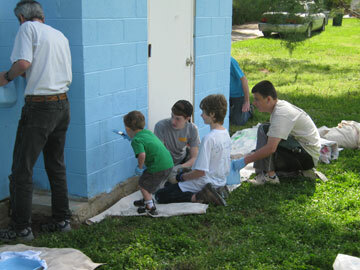 Ryan Murtha’s Eagle Scout project, completed in April 2011, involved cleaning up and repainting structures at Bustleton Swim Club. 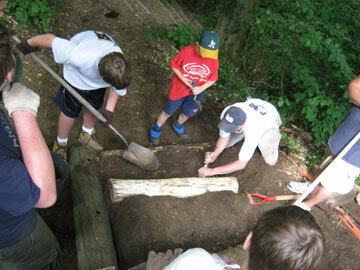 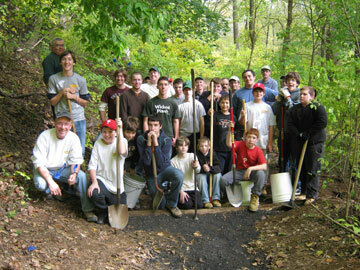 Chris Kramer replaced steps leading to Pennypack Environmental Center as his Eagle Scout project in June 2011. 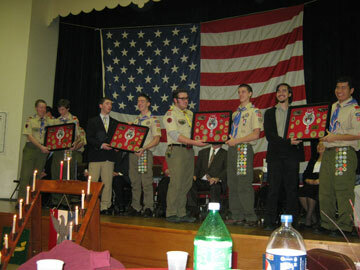 Four new Eagle Scouts from Troop 290 at St. Cecilia Parish. 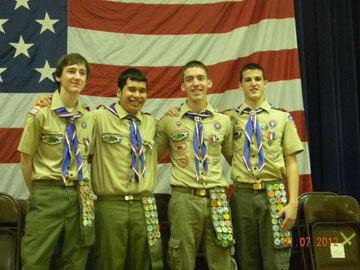 From left: Brendan Rigney, Joel Contreras, Ryan Murtha and Chris Kramer. 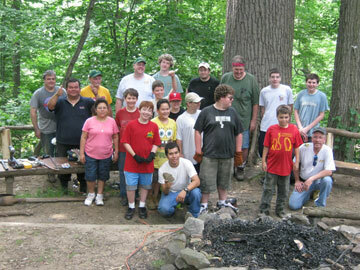 Joel Contreras and his team replaced the railings around the campfire circle at Pennypack Environmental Center as part of his Eagle Scout project completed in June 2011.